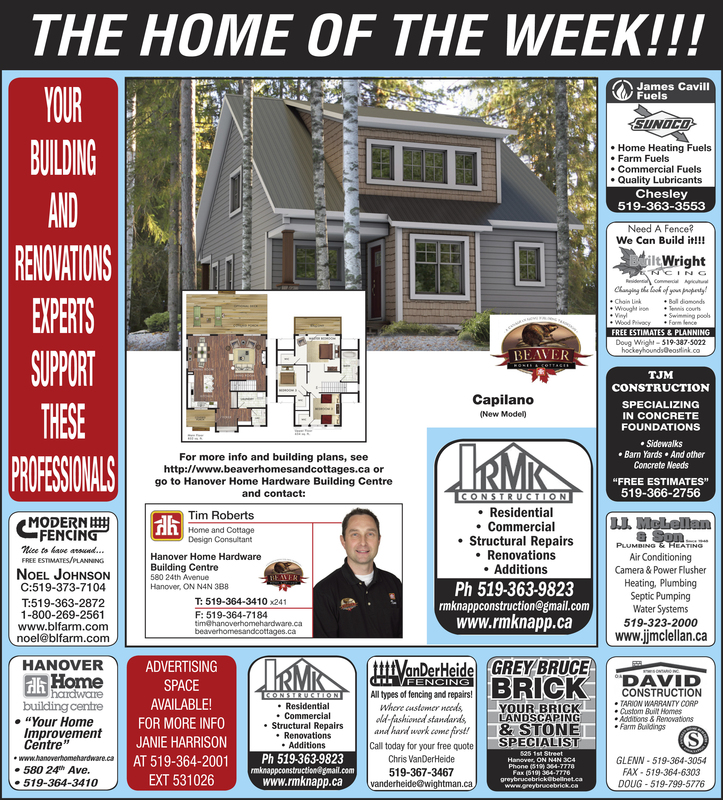 Home Hardware | J.J. McLellan & Son "
Check out this weeks edition of The Home Of The Week published by The Post! Watch for more plans coming each week! From small repairs to custom new build or renovation plumbing and heating system design and installation. Whether you require HVAC (Heating, Ventilation and Air Conditioning) or Plumbing Mechanical work look no further than the Mechanical HVAC Contractors at JJ McLellan and Son to provide whole home comfort for all your Plumbing and Heating needs big or small, new or repairs! Did you know we also service and clean Septic Systems! A Royal Flush Is Better Than A Full House! We Are The Home Comfort People We Service What We Sell As Well As All Other Makes & Models! Tips for Staying Warm on this Cold Valentines Day & Family Day Weekend! Pamela McLellan-Zmija on Keeping your family cool this summer! Pamela McLellan-Zmija on Ensure You and Your Home Stay Warm In The Cold! Pamela McLellan-Zmija... My life as art! on How to prevent water pipes from freezing and breaking! Pamela Zmija Photography on Is your house ready for fall?